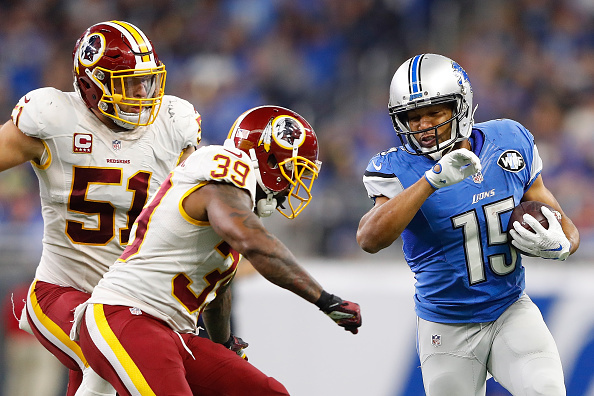 Matthew Stafford threw a go-ahead, 18-yard touchdown pass to Anquan Boldin with 16 seconds left to lift the Lions to a 20-17 win over the Redskins on Sunday. The Lions (4-3) extended their winning streak to three games. The Redskins (4-3) had won four straight. Stafford, who set up game-winning kicks in the previous two games, led his team to another win in the 100th game of his career. He was 18 of 29 for 266 yards, one TD and no turnovers. Kirk Cousins scored a go-ahead TD on a 19-yard run with 1:05 left. 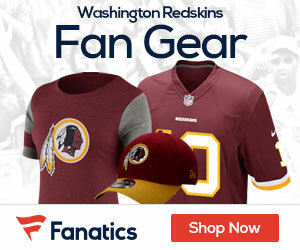 Rich Tandler says the Redskins lost a heart-breaker yesterday. Yeah, well, maybe, whatever. We lost because of lack of pressure on the QB in the last 1:05. We had to rush three and lay back in the old “prevent” defense. The “defense” guaranteed to generate a score for the offense. Truth is we don’t have enough DT’s that can overwhelm to o-line blockers ala CHRIS BAKER who generated a sack by literally bowling over the RG and trampling him on the way to STAFFORD. At least, I hope he got credit for that sack though only holding STAFFORD’s heel when the QB went down. In the next draft a #1 DT and a #2 T. Reverse the order in the 2018 draft and get TRENT WILLIAMS’ replacement. Age is catching up to him. By 2019, WILLIAMS could shift to LG/LT, and his replacement could become the starting LT.
Championships are built on the line play not at QB and FS.